Biographical Sketch-Reverend Dr. Nevalon Mitchell, Jr.
Dr. Nevalon Mitchell, Jr. was born in Wilson, North Carolina. He holds a Bachelor of Arts Degree in Sociology, a minor in Psychology and a Basic Intensive in Philosophy from the University of Michigan-Flint. He also has a Master of Divinity Degree from Garrett-Evangelical Theological Seminary in Evanston Illinois, where his special emphasis was on "The Church and The Black Experience", and a Doctor of Ministry Degree from The Louisville Presbyterian Theological Seminary in Louisville, Kentucky, where his Doctoral Thesis was "Black Preaching and The Black Church: Tradition Viewed in the Context of Liberation Theology". The Memphis Theological Seminary of Memphis, Tenn., requested and was granted permission to include his thesis in their library. Dr. Mitchell holds a PhD in Church History and Biblical Studies from the Newburg Theological Seminary in Newburg, Indiana. 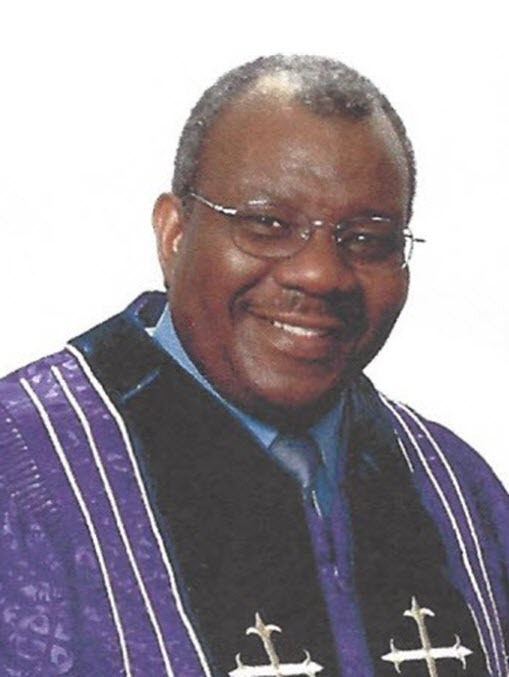 Dr. Mitchell is licensed and ordained in The National Baptist Convention U.S.A., Inc. During his three years in seminary, he pastured the historic Woodlawn United Methodist Church in Chicago, Illinois. During his pastorate the church experienced an increase in membership, attendance and overall stewardship. He left Illinois in 1978 to enter the United States Army. He served in Vietnam from March 1967 until January 1968. After graduating from college and seminary, he left Illinois and re-entered the United States Army on active duty as a Chaplain in March 1978. After graduating from college and seminary, he re-entered active duty as a Chaplain in March 1978 and retired from the United States Army as a Lieutenant Colonel in July, 2000. Dr. Mitchell holds a life membership with The Disabled American Veterans, The American Legion and The Veterans of Foreign Wars of the United States. He is currently serving as Staff Chaplain for the Department of Veterans Affairs Medical Healthcare System, Baltimore, Maryland. Dr. Mitchell holds dual membership as a Board Certified Expert in both the National Center for Crisis Management and the National Center for Traumatic Stress. He holds Addiction Counselor Certifications in Colorado, Maryland, and DC, and is a Marriage and Family Therapy License Candidate in Colorado. He is a Certified Mental Health First Aid Provider. He is also a Diplomat of the American Academy of Experts in Traumatic Stress, a Board Certified Chaplain in the College of Chaplains, a Certified Co-Occurring Disorders Professional, a Diplomat of the American Psychotherapy Association (APA), a Board Certified Professional Counselor (BCPC) with APA, a Post Traumatic Stress Clinician (APA),a certified instructor in the Fourth and Fifth Steps, a world-wide certified teacher in The Bethel Bible Series, a certified instructor for Adventures in Attitudes, Positive Image Building, Positive Self Esteem and Positive Self Image, a world-wide certified Effectiveness Trainer for Youth, Parent, Leader, Teacher, and Women, a Board Certified Chaplain in The Association of Professional Chaplains Incorporated, and a Maryland licensed Certified Associate Counselor for Alcohol and Drug Abuse. He is a Certified Addiction Counselor 11, Licensed Certified Addiction Counselor l l with the Health Regulation and Licensing Administration Board of Professional Counseling in the District of Columbia, and holds a Certification from The National Association For Addiction Professionals as a Substance Abuse Professional ( SAP), a Certification as a Mental Health First Aid Provider, and Certifications in Motivation Interviewing, Cognitive Behavioral Therapy, Trauma and Abuse Treatment and as a Pastoral Counselor.. His professional affiliations include The American Psychotherapy Association, The Association of Mental Health Clergy, The Association for Clinical Pastoral Education, The American Association of Pastoral Counselors, The American Counseling Association, The National Association of Alcoholism and Drug Abuse Counselors, The Department of Veterans Affairs National Black Chaplains Association, and The National Association of Veterans Affairs Chaplains (NAVAC) and is considered by NAVAC as the resident expert with a Specialty Certification in Substance Abuse. He is also a Clinical member of the Association of Professional Chaplains. He was featured in the People's section of Jet Magazine in June l993. Dr. Mitchell was selected by the 2003, 2008, and 2012 National Baptist Congress of Christian Education, National Baptist Convention, USA Inc., as an instructor in the Ministers' Division. Dr. Mitchell introduced the first class on Post-Traumatic Stress Disorder to the National Baptist Convention in Detroit, Michigan in 2003. He also served as an instructor in the National Capital Congress of Christian Education and a Certified Instructor in The United Baptist Missionary Congress of Christian Education, United Baptist Missionary Convention of Maryland, 2006-2008. He is the author of several articles: "The Bright Side of Depression" was submitted to the United States Army Chaplains Review Board, and "Grief Resolution: Helping Others to Mourn" published in the December 2003 edition of The Christian Education Informer, National Baptist Convention, USA Inc. He is the author of a recently released book entitled “The Liberation of the Black Church and the Preacher: Overcoming Tradition through Kingdom Principles”, and the author of a forthcoming series entitled “Inspirational Sermons for All Occasions” and two forthcoming books entitled “Grief: Helping Others to Mourn” and “Women in Authority”, co-authored with his wife, Wessylyne Kaye.  Author "Grief Resolution: Helping Others to Mourn" published in the December 2003 edition of The Christian Education Informer, National Baptist Convention, USA Inc.
 Author "The 21st Century Church: God's Vehicle for Hope, Healing and Help", Christian Education Informer, National Baptist Convention, USA Inc. summer 2007 edition. Author "The Nature of Grief - Do's and Don'ts" The Christian Education Informer, National Baptist Convention, USA Inc. summer 2007 edition.  Author, "The Liberation of the Black Church and the Preacher: Overcoming Tradition Through Kingdom Principles"
 Author Series, "Inspirational Sermons for All Occasions"
 Publication and Workshop: "Leadership in the Local Church"
 Publication and Lecture: "The Challenge of Pastoral Caregiving in Addressing the Effects of PostTraumatic Stress Disorder and Emotional Trauma"
 Retreat and Lecture: "From Pews to Service: Spiritual Dimensions of Servant Leadership in the 21st Century Church"
 Author, "The Response of the Church to the Spiritual Needs of the Terminally Ill"
 Author, forthcoming book, "How Is Your Ship?"  "Women in Authority", co-authored with wife, Wessylyne Kaye Mitchell "Survey of the Pentateuch" authored by Wessylyne Kaye Mitchell, in process  Author, "Boundaries"
 Author, "Grief, Sorrow and Loss"
 Author, "The 12 Steps and Their Spiritual Meaning"
 Author, "How to Find Grace in the Midst of Sorrow"
 Author, "Learning the Way, Will, and Word of God"
 Author, "Sobriety - A Spiritual Problem"
Dr. Mitchell is married to Wessylyne Kaye Mitchell and they are the proud parents of three adult children, seven adorable grandchildren and two Godchildren. Dr. Mitchell is a member of Kappa Alpha Psi Fraternity, Inc. and the President/Owner of Nevalon Mitchell Jr. Ministries, Inc., and Life Enrichment Counseling and Support Services, LLC.